Birds which you might encounter, at or on the way to Staffa, include Shags and Cormorants, Guillemots, Razorbills, Black Guillemots, Shearwaters, Fulmars, Gannets, Ravens, Eiders, Turnstones, Arctic Terns and the Great Skua, or 'Bonxie'. More information about all of these can be found on the RSPB's website. 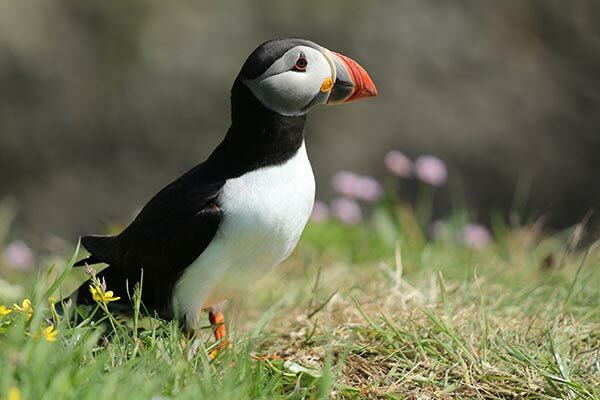 Puffins are unmistakable and are very popular with visitors to Staffa. They usually arrive during the first few days of April and stay through May, June and July during which time they form pairs, mate and rear young. On most trips during these months it will be possible to view them from the boat but you'll have a good chance of seeing them ashore from late-April onwards (if you have patience and a wee bit of luck!). Puffins usually leave Staffa at the end of July although a few usually hang on until the first days of August. We see Common Seals on most trips throughout the year provided the air temperature isn’t too cold and the tide is fairly low. They like to sunbathe on a number of small islands at the north end of the Sound of Iona. Larger Atlantic Seals visit Staffa in late September and give birth to pups there in October. Puffins arrive at Staffa in April to set up home for around 4 months. During this time, they mate, lay a single egg and rear a chick. They leave again in late July. During the first month of their stay, they spend a lot of time on the water but gradually spend more time ashore. They are quite sociable and it is often possible to get fairly close to them. From mid-June until the end of July is probably the best time to see them on land as they bring food ashore for their chicks. We encounter pods of Bottlenose Dolphins on something like 20-30 trips a year. The Sound of Iona is something of a ‘hotspot’, which is worth bearing in mind even if you are just crossing on the CalMac ferry. They can be quite curious about the boat and often come quite close. Pods usually number 3-12 individuals. ’Common’ Dolphins are a less common sight for us. These creatures can sometimes be found in pods of 50+ but they tend to stay in deeper water. 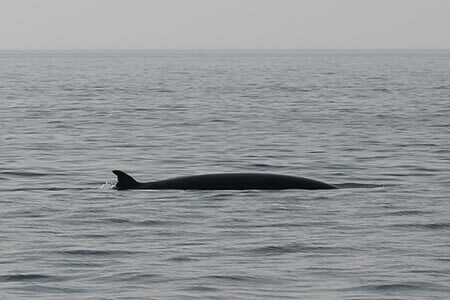 Minke Whales are some of the biggest creatures we encounter measuring up to 10 metres in length. Reported sightings tend to be in June, July and August and they are easiest to spot on calm days. They have been known to breach, but we mostly see them coming to the surface for air. We mostly see solitary individuals or pairs. 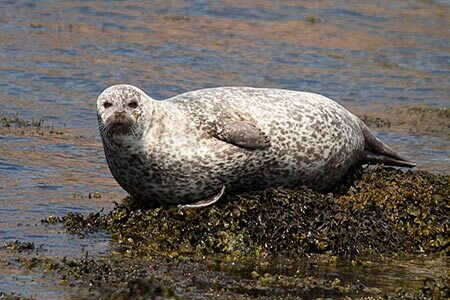 The seas around Mull, Iona and Staffa are home to a multitude of marine species that thrive in the clean water. 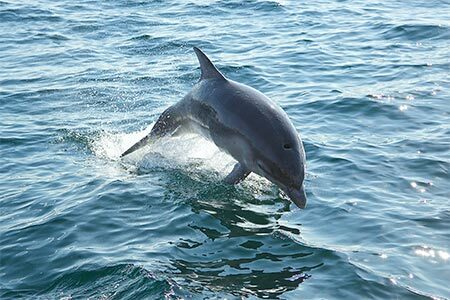 These include seals and otters on the coast, and porpoises and dolphins at sea. It's always worth keeping your eyes open as you never know when something might pop up! Members of our crew are knowledgeable and well versed at spotting marine life. They'll let you know if they spot anything of interest. A slight detour might be made if a sighting has been reported by another boat nearby. Minke whales and basking sharks tend to visit more when the sea temperature rises in June, July and August. There have even been sightings of Orca in the waters around Staffa.